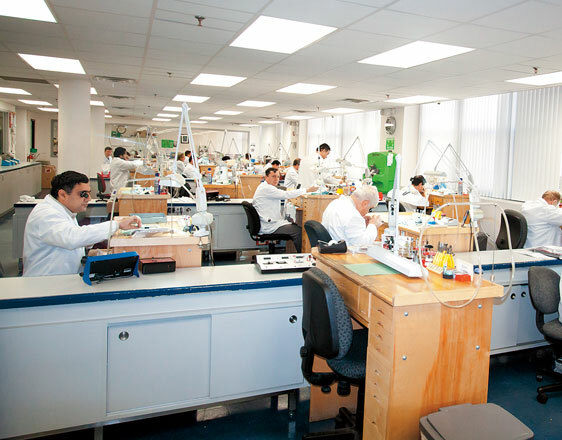 For over ten years, the 10,000-square foot Tourneau Service Center in Long Island City, New York has been home to one of the largest teams of watchmakers in the world. Modeled after the laboratory-like watch manufactures found in Switzerland, the Tourneau Service Center features the most advanced, state-of-the-art machines and technology. Not only does it refurbish every certified pre-owned watch acquired by Tourneau, the center also offers a unique glimpse into the watchmaking universe, past and present. Tourneau’s 30 watchmakers—comprised of twenty-nine men and one woman—are among the most experienced and talented in the industry. Coming from all over the world and aged from 19 to over 70, they’ve all completed five years of apprenticeship with some practicing for over 40 years. Experienced watchmakers who are new to Tourneau must first go through a year of training that involves dexterity, oiling technique, and watch dis-assembly tests. Inside the facility, the watchmakers are stationed at individual benches in an open room where they meticulously work with their hands and custom tools on only one watch at a time. They each specialize in one brand and movement (quartz or mechanical) and are expected to be fluent in all its intricate parts. Over 55,000 watches go through these watchmakers’ hands every year, spanning from new to century-old pieces and with values anywhere from $250 to over $250,000. 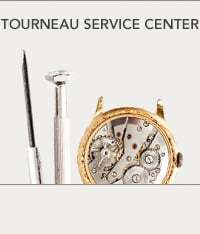 Before a watch is considered fit for return to its owner, it must pass through Tourneau’s rigorous Quality Control department where a technician double-checks the watch’s rate and amplitude. For good measure, each watch is demagnetized, a procedure that reverses the detrimental effects that modern electronics have on hairsprings. If any irregularities are discovered, the watch is returned to the relevant department so the problem can be corrected. Perfection always being the goal at Tourneau, the watchmakers are evaluated based on how many of their repairs do not pass quality control or are returned by customers for additional work. The cleaning machine features an airtight chamber that prevents any fumes from being released. The solution is filtered as the watches get cleaned. The laser welding machine is the first of its kind to repair and weld steel. Since it is on-site, more repairing can be done with faster turn-around times. One of just few in the entire U.S., the lapping-polishing machine is used exclusively for Rolex watch cases. It polishes the watches while preserving their original sharp edges. While the Long Island facility is primarily focused on repair and service, it’s also home to many watches that have been repaired by Tourneau over the past four decades but never claimed. These unclaimed watches along with every single one serviced at the center are stored overnight in a large walk-in vault. Some of these timepieces have storied pasts like those kept in a bin labeled “WTC” with watches taken in by the Tourneau store that was located beneath the World Trade Center. Never sold and with no intention of ever doing so, these watches serve as a reminder of the company’s parallel history with the great city of New York. In recent years, Tourneau has experienced a decline in watchmakers as more begin to age out and less new talent comes in. 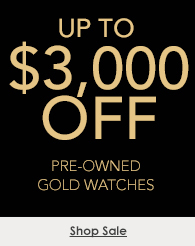 To keep up with the influx of watches arriving weekly for service and repair, the company decided to invest in the next generation of American watchmakers. In 2013 it partnered with the Manhattan Comprehensive Night & Day School to create the Watchmaker Program. 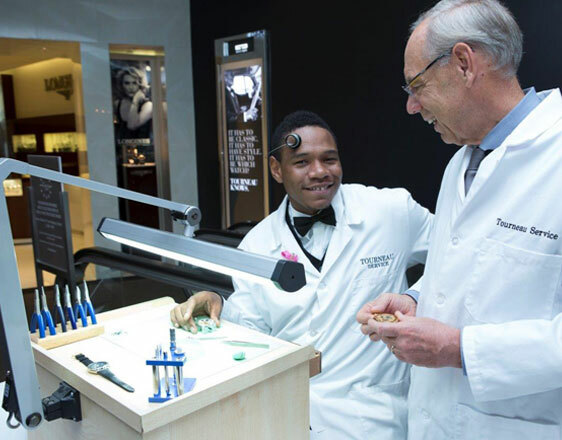 This eight-week vocational course meets twice a week at the Long Island City facility for 5 hours, teaching New York City students the skills needed to become professional watchmakers, a career eager to accept younger apprentices. Since its opening, the Watchmaker Program has completed four courses and graduated forty students. Today, two remain with Tourneau as watch technicians.